Charlie I’Anson had the honour of being the only English footballer in the Spanish La Liga – a title previously held by Michael Owen and David Beckham among a small handful of others. His ambitious streak has seen him move from his family home in Malaga to Grimsby in the English Football League and onwards to Elche in the Alicante province of Spain, when they were a first division side. The 22-year-old centre-half hit the headlines when he played the full 90 minutes for Elche against Espanyol. Elche beat the Barcelona side 2-1 and the defender made an impressive first-team debut. 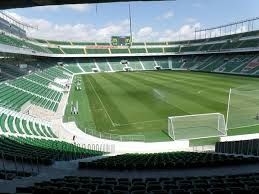 This isn’t Elche’s only claim to fame, however. The city has been named a UNESCO World Heritage Site for having the largest palm grove in Europe with 200,000 trees. A famous Iberian statue dating back to the 4th century BC, the Dama de Elche, was unearthed just outside the city. Every August, the city also hosts the Elche Mystery Plays, which date back to the 15th century. It also has an admirable reputation for its shoe-making industry with Panama Jack and Salvador Artesano among its better-known brands. Now, Elche has another claim to fame. After 24 years, Elche FC won promotion to La Liga playing against the top Spanish teams such as Barcelona, Read Madrid and Valencia. The spotlight burnt brighter than usual on the city when Charlie was in the starting line-up wearing the No 26 shirt in October. Having had a taste of life in La Liga, Charlie is hungry to play more first division football. He is determined to make his mark in Spain. 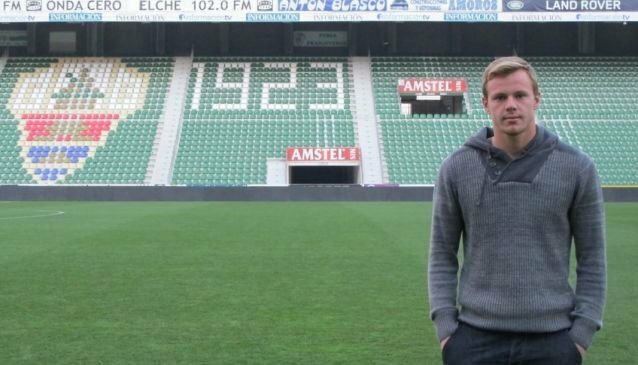 So what brought Charlie to Elche and what are his long-term ambitions? Charlie was born in England but his parents moved from Luton, Bedfordshire, to Malaga on the Costa del Sol when Charlie was six. His family are huge football fans and his dad Dean played for Crystal Palace, among other English clubs. Charlie followed in his footsteps and was playing in a local Malaga side when he was spotted by a Nottingham Forest scout as a teenager and invited for a trial. The English club liked what they saw in the talented youngster but warned him he would be fourth choice as a centre-half. The chances of actually getting a game seemed slim. They made contact with Grimsby Town youth team coach Neil Woods, who took Charlie on. The move to Grimsby paid dividends with Charlie scoring on his debut for the first team in a tough game against Mansfield. However, they could not agree a contract, which left Charlie at a crossroads in his career. Charlie got in touch with a friend, who happened to be an agent, who arranged trial games in Spain. Elche liked what they saw and took him on. The system in Spain is different to England in that the B team or reserves play in an actual competition, either in the Liga Adelante or lower divisions. It means the players are much more competitive, keen to prove themselves and eager to win. It also means if players like Charlie are not picked for Elche first team one week, they can drop back to the reserves, play a league game and fight to prove they are worth a place in the first team in the following week. Charlie is one of the few English players with actual experience of playing in his home country and Spain. The pace, techniques and pressures on the pitch vary enormously. Top-flight football is an expensive business, which can be at the expense of nurturing home-grown players. “There’s a lot of money around so the clubs which can afford it will buy the best players to make their team as strong as possible,” said Charlie. Charlie’s favourite players are defenders too – John Terry at Chelsea and Ledley King, who played for Charlie’s beloved Tottenham Hotspur. In Spain, he has a soft spot for Malaga, where he spent most of his life so far. For El Classico between Real Madrid and Barcelona, everyone in Spain will have taken sides. If pushed, Charlie prefers Real Madrid. 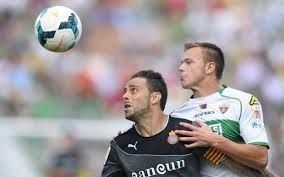 The Elche centre-half believes more players should take the plunge to move from England to Spain. He believes some are held back because of the different culture and because they believe the language could be a barrier. Having moved to Spain in his formative years, Charlie is fluent – switching easily from Spanish to English depending on the situation. As the sun blazes down on the Elche stadium in mid-December, Charlie says the weather is another plus for making the move to Spain, as well as learning new skills and techniques. However, a move back to England would certainly not be ruled out if it would be a good career move. Regular first-team football could also help Charlie to catch the eye of the England manager. “I got called up for England C when we were going to play China but the game was called off,” he recalls. Having had the courage to carve out a future for himself in Spain, how would Charlie encourage others to continue their footballing career? “There are a lot of players who give in after they get released or their contract is up. Many young players who trained with a big club will not be taken on. If they are good enough to get taken on in the youth team, they are good enough to go to another club. Even if it’s in a lower division, they are still doing what they love – playing football. I would encourage them to try other divisions anywhere. They shouldn’t be afraid or ashamed of going to play in any league. They are always going to be good enough for some team somewhere. If you love football, you should carry on playing it. It’s not all about playing at the top, if it was that easy, everyone would be millionaires. Charlie is now playing for Valencia Mestalla.